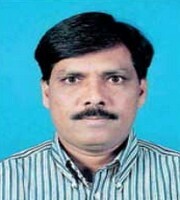 Dr. A Karunaker is Professor of English at Osmania University, Hyderabad. He is currently Director, Osmania University Centre for International Programs (formerly A.S.R.C. ), Hyderabad. Author of Racial Mountain and Essays of James Baldwin, he has co-edited Perspectives on Legends of American Theatre and Mirrors and Lamps besides publishing many scholarly articles.